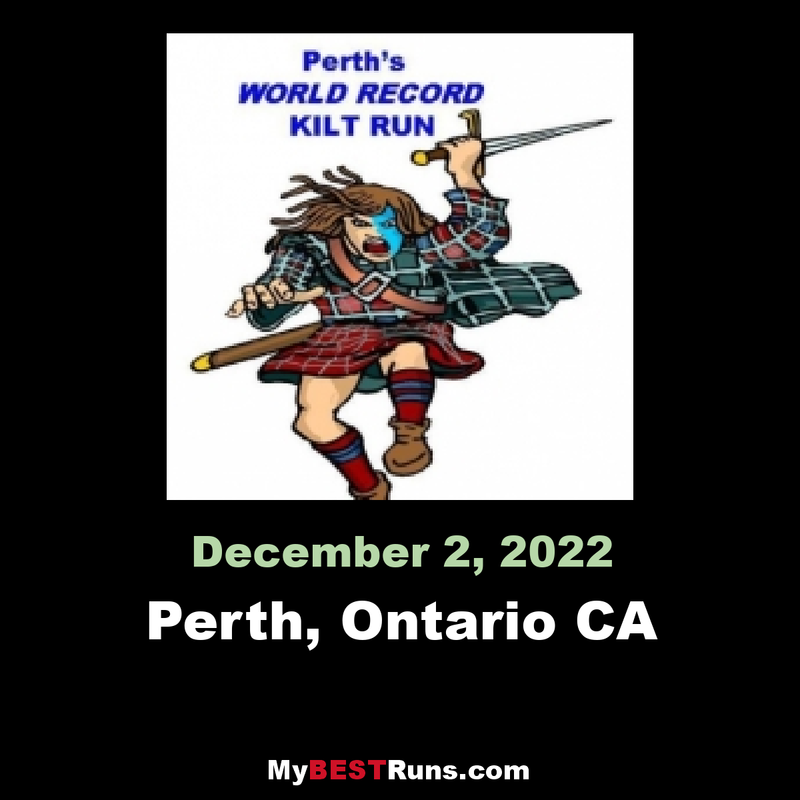 The idea to hold a kilt run in Perth, Ontario was conceived in October 2009 by Terry Stewart after the Mayor of Perth, Ontario submitted a letter to the Perth Courier requesting town residents to come up with an idea to help Perth, Scotland celebrate their 800th Anniversary. Happy Birthday Perth, Scotland!! 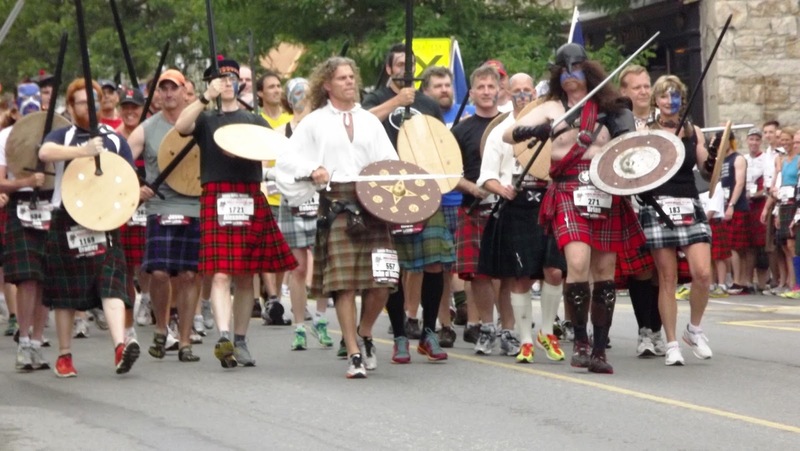 Canada’s 8K Perth Kilt Run represents Scotland’s 800 years of existence. 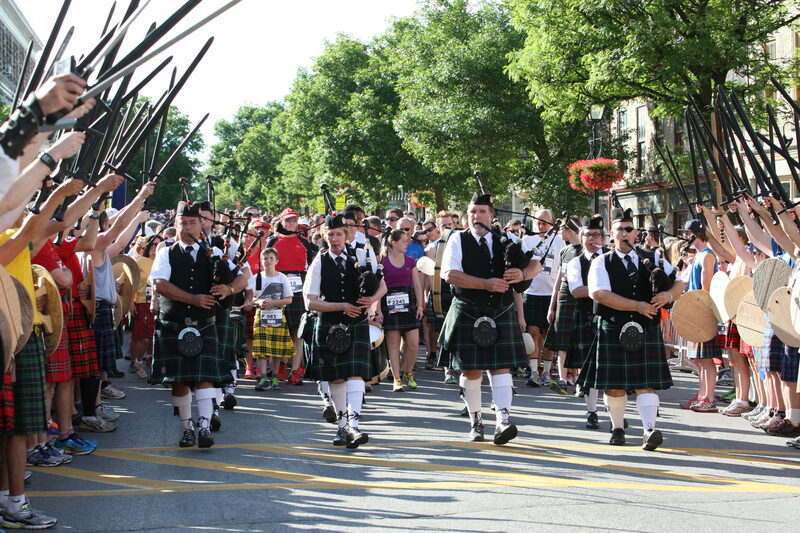 The kilt run was organized by a group of volunteers as a "one-time event" in 2010. The committee included David Stevens, Steve Wight, Shannon Baillon, Pam Ferguson, Mary Stewart, David Eggleton, and Terry Stewart (Race Director). The first kilt run held was in June of 2010. There were 1,089 finishers...breaking the old record of 250, and setting a new OFFICIAL Guinness World Record. The race features a "Castle" start line! The kilt run is officially called "Perth's WORLD RECORD KILT RUN". The main charity of the kilt run is the MS Society. Over $55,000 has been raised in the first three years of the race.